WRIGHTWOOD, Calif. -- Firefighters continue to gain control of the massive Blue Cut Fire this weekend, which is now 83 percent contained. 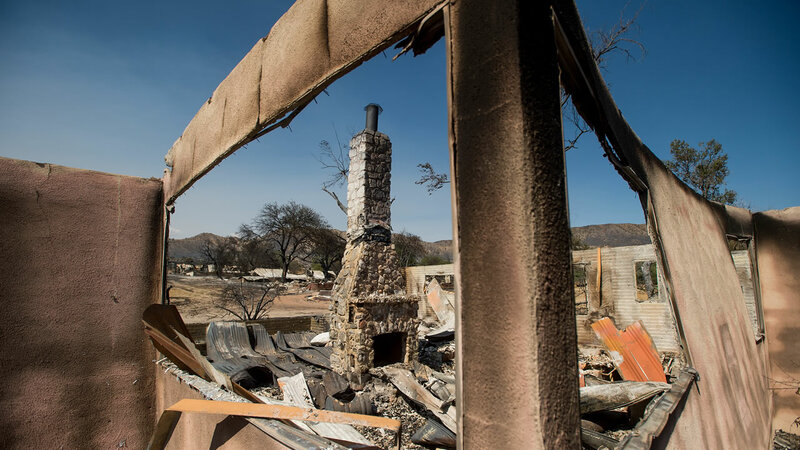 The 37,020-acre blaze raced through the San Bernardino National Forest and destroyed 105 single-family homes and 213 buildings. Hundreds of thousands of residents in several communities were under evacuation orders since the raging fire started Tuesday along the Cajon Pass. Mandatory evacuation orders for the Lytle Creek community were no longer in place as of 10 a.m., according to officials from the San Bernardino County Sheriff's-Coroner Department. Only residents were allowed past the road closure at Sierra Way/Lytle Creek Road and Glen Helen Parkway with proof of residency. The community of West Cajon Valley remained under mandatory evacuation orders, officials said. Wrightwood residents were allowed to return home on Saturday. San Bernardino National Forest officials said the fire did not grow overnight, but 1,782 personnel continued the firefight and clean up through Sunday. Both sides of the 15 Freeway were open through the Cajon Pass, however, San Bernardino County fire officials urged residents to be cautious as crews worked along the road. All ramps at Kenwood Avenue and Cleghorn Road were still shut down, officials said. Evacuation centers for residents and animals remained open, and the cause of the blaze was still unknown, officials said.